The FED hopes you will be passive and not act on this information. We believe in grass roots America – we are waking up America. Ultimately, the battle plan is to inform all Americans and demand change in the media and Congress. True Americans should run for office and throw out the politicians who allow this fraud to continue. Congress may refuse to deal with this issue. That’s why each person needs to go to their local county/state government with the proper paperwork and ask them to abolish the FED. With the proper documents, they are legally obligated to do it. Consider this fact. Most of the given sources in this booklet show how the blood line of family bankers who own the FED funded both sides of all major wars. They created fake colonial money to destroy the Americans during the Revolutionary War and tried to finance both sides in the American Civil War. Abraham Lincoln refused and the South accepted. Many publications show that these bankers financed World War I, World War II, and the Russian Revolutionary War, which helped Napoleon, Lenin, and Hitler come to power. They financed both sides from money created from nothing and profited greatly. These same bankers created a number of American depressions to change the U.S. legislation and seize our wealth. Read the sources for details. This is why our forefathers wrote in the Constitution that (only Congress can issue money) – not private banks (Reference 18). More wars create more debt which means more profit to the bankers (Reference 1, 21). These bankers planned three world wars so people would welcome United Nations intervention to govern the world in peace, not war. (Reference 22 gives specific details on World War I and World War II, showing exactly how the bankers were responsible for the beginning and continuation of these wars for their profit). The banks have publicly announced they will force us to a cashless society by 1997. Furthermore, they plan to create a one world government through the United Nations headed by the FED, Trilaterals, and the Council on Foreign Relations (Reference 3). By the definition of treason, they have committed treason! This Declaration, designed to make a one world government, is treason to the oath of office they took. The media remained silent. The FED announced publicly that their first objective was to get nationalism out of the American people’s heads because patriotism to a country would not be of value in the future. The media makes us think the U.N. has all the answers, and to “think globally.” Congress passed a law stopping certain individuals from being tried for this treason (Reference 6, Reference 1, P. 191-198). Why pass this law if no treason was committed? State Department document 7277 calls for the disarming of America, thus turning our sovereignty over to a one-world government. Again, the media is pushing to eliminate guns. Our forefathers believed that the right to bear arms would prevent a takeover of our government. History shows that before any government take over, they disarmed the citizens. Hitler did it, and before our Revolutionary War, King George told us to disarm – good thing we didn’t! Under the Federal Reserve Bank Act, the bankers control our economy. The FED controls interest rates and the amount of money in the economy. 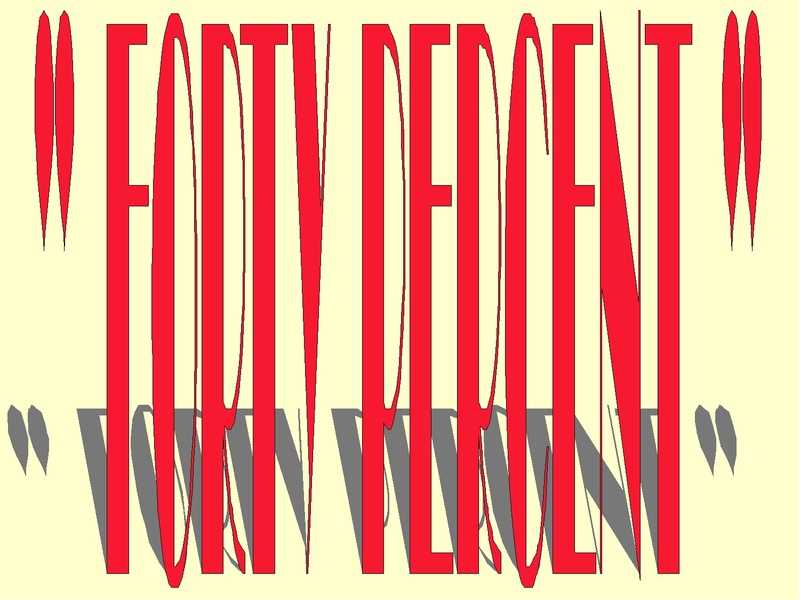 These factors determine either economic prosperity or the lack thereof. Bankers are now pushing for a one world government and a cashless society. Why cashless? No cash means no money for drugs, no theft, and the ability to collect taxes on the underground economy. Anyone who wouldn’t support a cashless society must be a drug dealer, thief, or tax evader, right? What a cashless society really means is the banks can now control you. Today you fear the IRS. In a cashless society, if you disagree with the bankers’ political goals, you’ll find your money gone via computer error. (For additional information on a cashless society, read Reference 13, P. 174; Reference 3; Reference 14, P. 9-12; Reference 15, P. 136; Reference 25, P. 216). If you could accurately predict future interest rates, inflation and deflation, you would know when to buy or sell stocks and make a bundle of money. The FED has secret meetings (per Congressional Record) to determine future interest rates and the amount of money to be printed. The Securities Exchange Commission (SEC) by law, stops insiders from profiting by privileged information. Congressional records prove that FED bankers routinely hold secret meetings to profit by manipulating the stock market via interest rates and the amount of money they create. FED bankers also profit greatly from economic disasters like the Depression (Reference 22, P. 56). The bankers create inflation, sell their stocks before the market crashes, then buy up stocks at cheaper prices. Bankers admitted this to Congress. This violates the law, yet Congress does not act because these bankers are large political contributors (Reference 17, P. 96-98; Reference 1, P. 162-163; Reference 22, P. 114-170 & P. 136). Thomas Jefferson predicted this scenario if we ever allowed a private bank, like the FED, to create our currency (Reference 1, P. 247). Congressman Patman said “The FED officials own more than 100 million dollars (of stocks) while making decisions influencing these stock prices…” (Reference 24, P. 123). History proves that banks profit from bankrupting a nation (Reference 22, P. 56). Congress consistently defeats balanced budget amendments. In the past 30 years, Congress has raised our taxes 56 times and balanced the budget only once. We need the sound banking system our forefathers wanted us to have. History proves that banking systems like the FED don’t work. Major world powers have been destroyed over similar banking systems (Reference 1). If we don’t change this system NOW, in five years the only thing our taxes will pay is the interest on the national debt. Section 7 of the Federal Reserve Act, passed December 23, 1913, states that much of the profit of the FED should flow into the U.S. Treasury. In 1959, new legislation allowed the FED to transfer bonds to commercial banks at no cost to the bank. Now the FED receives less interest income and less profit for the U.S. Treasury because the money is diverted to other banks through an accounting entry (Reference 17, P. 115-130). 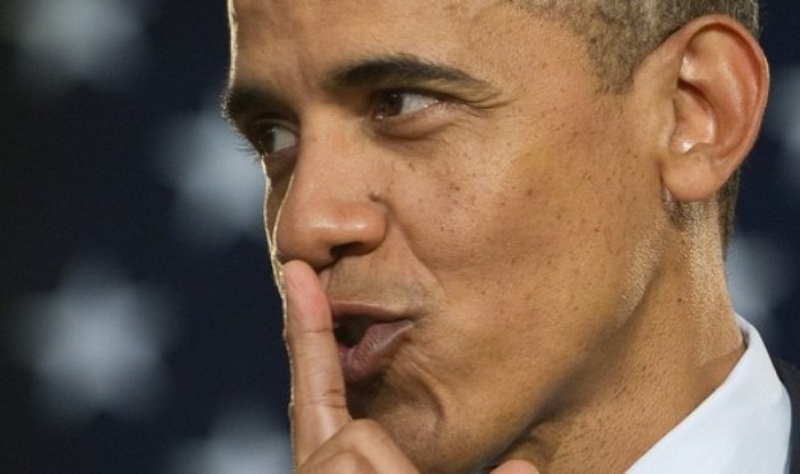 Congress and the IRS do not have access to the financial records of the FED. 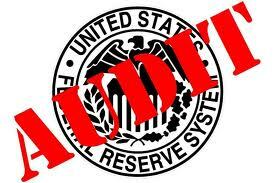 Every year Congress introduces legislation to audit the FED, and every year it is defeated. The FED banking system could easily be netting 100s of billions in profit each year. 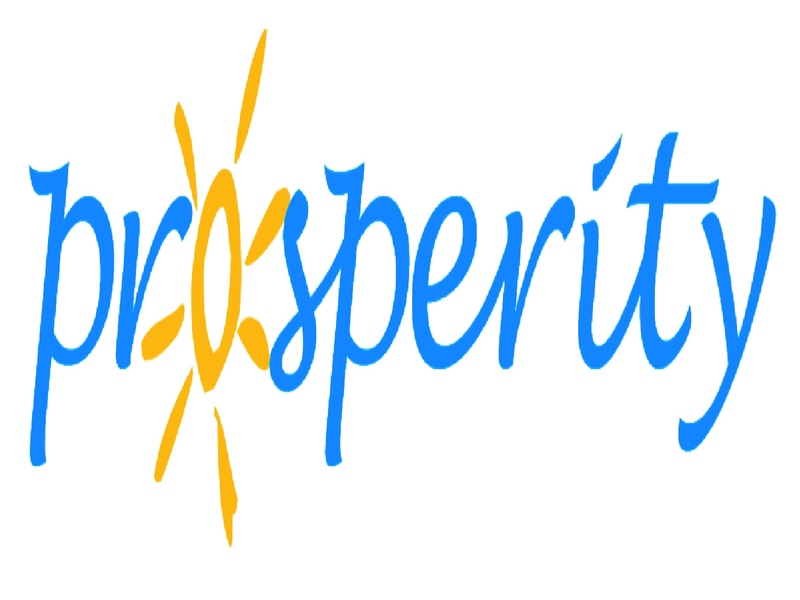 Through “creative accounting” profit can easily be reclassified as expense (Reference 14, P. 20, Reference 17, P. 239). Within the first few years, the shareholders of the FED received their initial investment back with no risk. All the income is tax-free, except for property tax, according to the Federal Reserve Act. When are the profits of the FED going to start flowing into the Treasury so that average Americans are no longer burdened with excessive, unnecessary taxes? Clearly, Congress cannot or will not control the FED. IT IS TIME TO ABOLISH IT! Request your county/state to use their Constitutional powers to abolish the FED. Nearly half the states are attempting or considering this action (Reference 5). Congress has had 80 years to follow the Constitution, and has refused to abolish the illegal FED. The state/county effort is working faster than any other method. We need your support to start a local chapter of FED-UP(tm) Inc. and petition your county. Congress and the media may want to require the FED to return the required profits into the U.S. Treasury (per the Federal Reserve Act, 1913). The problem is that with “creative accounting” techniques, profit can be easily masked as expense. The FED has expensed items illegally to lower profit (Reference 17). 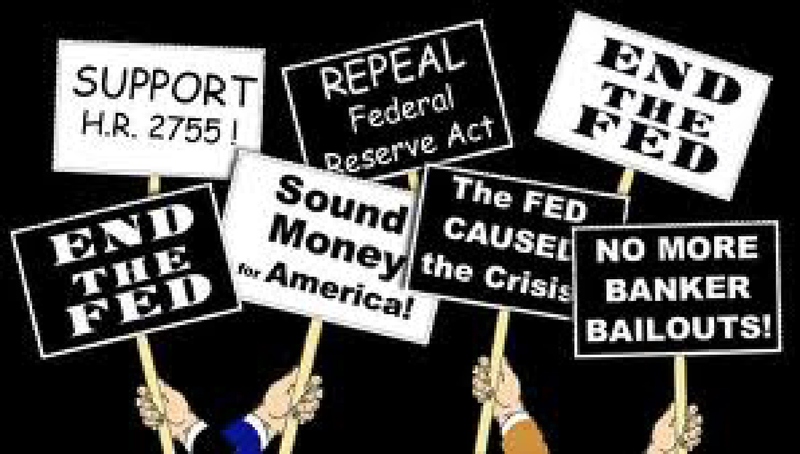 “We the People” have pushed the following states to pass or introduce legislation calling for an end to the FED: Arizona, Washington, Arkansas, Idaho, Oregon, Indiana, and Texas. We still need your signatures on petitions, even if you live in these states. Many other states are considering such action due to your petitions. These states and a few honest Congresspeople are powerless until all Americans become informed and demand change. Please pass out the petition. 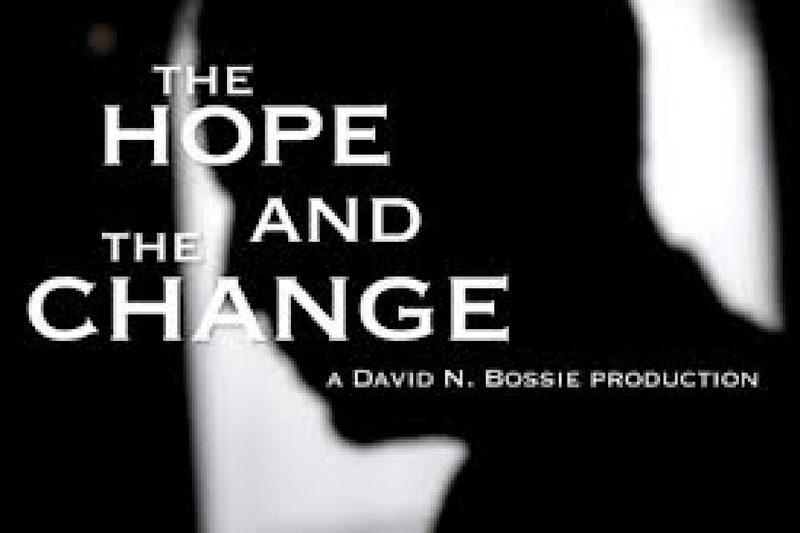 Once we demand change, the media will have to report the whole truth and not just push their own agenda. FED-UP(tm) challenges the media to expose the facts on prime time talk shows or news programs. 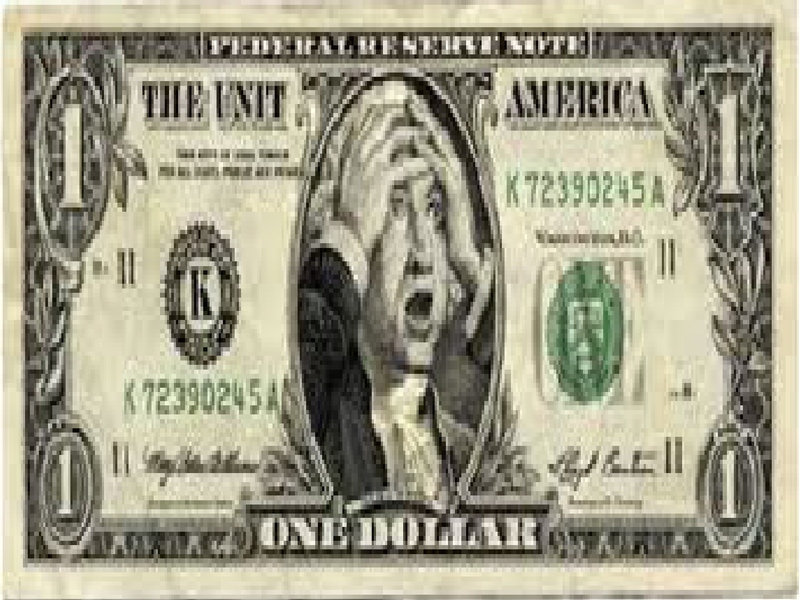 By abolishing the FED, we would not pay interest on Federal Reserve Notes. Until it is abolished, the FED has a monopoly on profit on our currency and whether our money supply will be increased or decreased, inflation or depression. 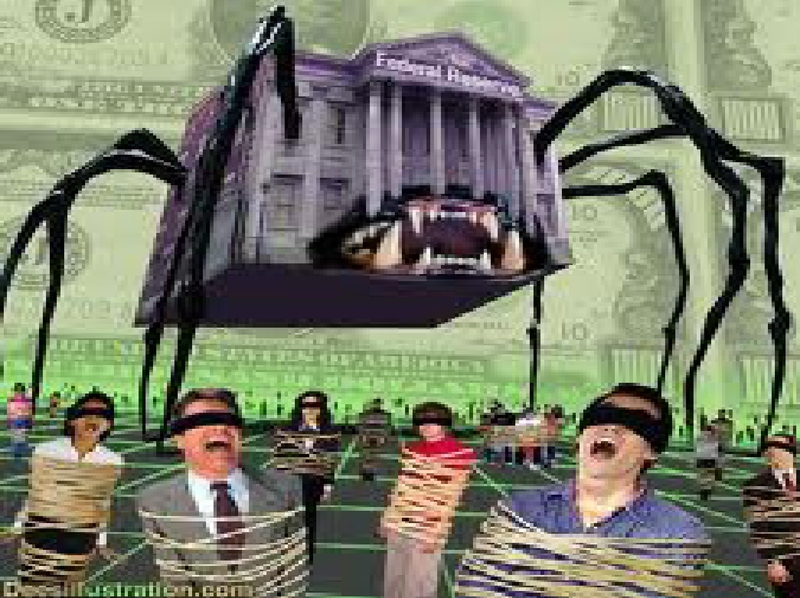 The banks are capable of controlling business by controlling who can or cannot obtain a loan. WE’VE DONE OUR PART – NOW IT IS UP TO YOU TO SPREAD THE WORD. Please take the brochure (Cutting taxes $6,000 per family per year) to VFW, Moose/Elk Lodges, Bars, Union Halls, Churches, and Association groups. Make copies of the “single-page” brochure for everyone at work and ask your friends to do the same. Ask small business owners in your community to tell other business owners and spread the brochure and petition through the local Chamber of Commerce. CPAs should be interested in saving their clients taxes. Ask your CPA to mail the brochure and petition out to his/her clients. Upon receiving this petition, many presidents of large corporations made this brochure and petition available to all employees. Once people are informed, we can force a change. People will have more money to spend, the economy will be strong, and we can keep our Constitutional rights, liberties, and freedoms. Contact your library for the names and addresses of your local and federal Congresspeople. MAIL THEM AN ENVELOPE WITHOUT YOUR NAME AND ADDRESS ATTACHED. 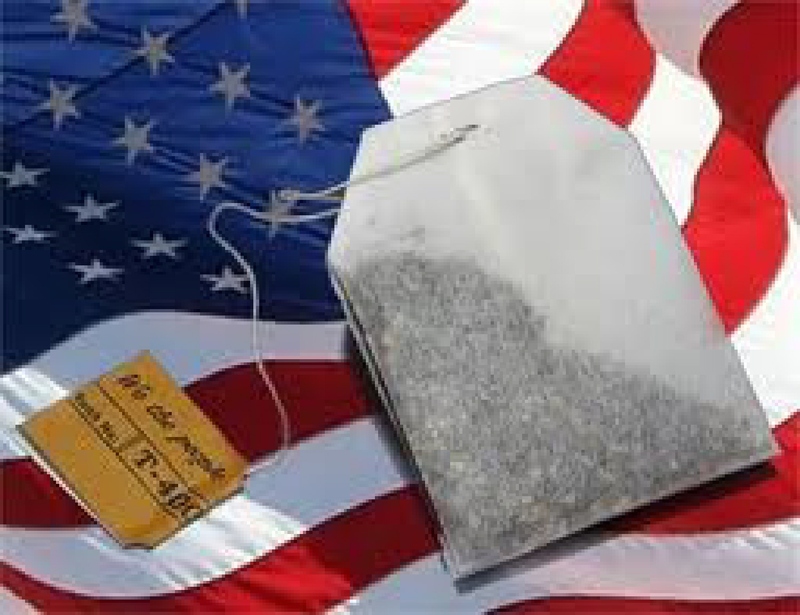 Also enclose one teabag (Boston Tea Party). Ask your friends to do the same (give them the addresses). If you don’t mail it in, they’re going to believe that we’re not organized or we just don’t care. IF YOU DON’T DO IT NO ONE ELSE WILL! Tell your friends the truth and win America back. We don’t even need to buy back the FED. We only need to print money the way the Constitution requires, not the new proposed international money. We, (or at least) I want to keep our sovereignty and print real U.S. money. Question: Why has Congress allowed the FED to continue? If a Congressperson tries to abolish the FED, the banks fund the Congressperson’s opponent in the next election (Reference 17, P. 35). The new Congressperson will obviously support the FED. When Congresspeople retire, political campaign funds are not taxed. Get elected and be a millionaire if you vote right. Which is to say; “the profit of the FED is not taxed either.” (Reference 1, 9). Once America’s citizens understands, ..and takes action, Congresspeople will have no choice except to abolish the FED. In 1992, Illinois Congressman Crane introduced a bill, co-sponsored by 40 other Congressman, to audit the FED. America is a great nation. As “We the People” become informed, the media and Congress will be forced to buy back the FED, balance the budget, significantly cut taxes, and stop allowing bribes to determine voting strategies. I have already heard from politicians who claim they will change their platform to include abolishing the FED if enough people become informed. Accordingly, it’s up to us, we the people, to spread the word from top to bottom, and as I remarked in a blog a couple of days ago, from sea to shining sea. The information gleaned from Thomas D. Schauf that I am using in this series goes on for another 30 pages. 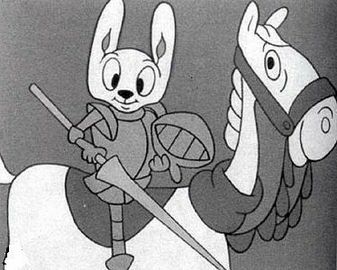 30 pages, ..that (at least in my opinion,) ..should read by every American citizen, ..albeit with time constraints and responsibilities beyond being “Crusader Rabbit,” ..I need to close for now. Nevertheless, ..be assured that (I will return) ..and bring you every last word. Congress has yet to audit it. Congressman Wright Patman was Chairman of the House of Representatives Committee on Banking and Currency for 40 years. For 20 of those years, he introduced legislation to repeal the Federal Reserve Banking Act of 1913. THE FED FEARS THE POPULATION WILL BECOME AWARE OF THIS FRAUD AND DEMAND CHANGE. We, the People, are at fault for being passive and allowing this to continue. Rep. Louis T. McFadden (R. Pa.) rose from office boy to become cashier and then President of the First National Bank in Canton Ohio. For 12 years he served as Chairman of the Committee on Banking and Currency, making him one of the foremost financial authorities in America. He fought continuously for fiscal integrity and a return to constitutional government (Reference 1). (Sidebar): Louis Thomas McFadden (July 25, 1876 – October 1, 1936) was a Republican member of the U.S. House of Representatives from Pennsylvania. In 1914, McFadden was elected as a Republican Representative to the Sixty-fourth Congress and to the nine succeeding Congresses. 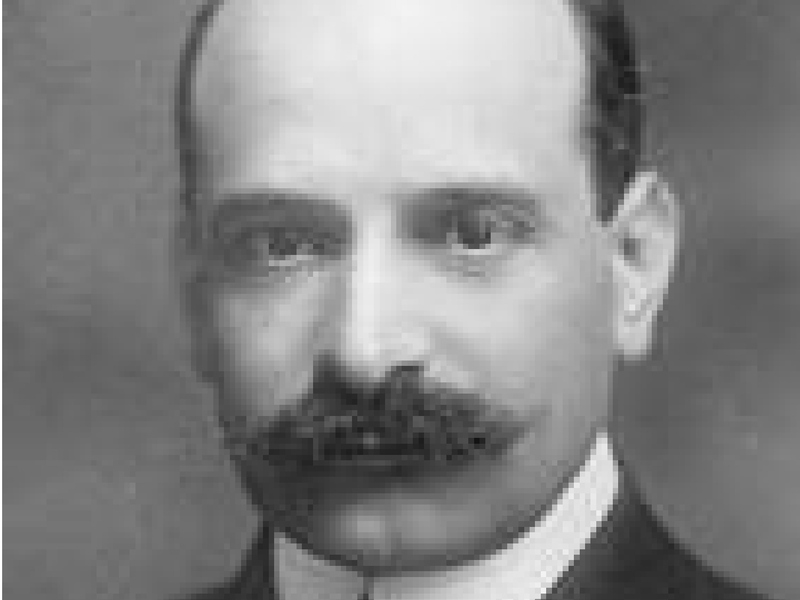 He served as Chairman of the United States House Committee on Banking and Currency during the Sixty-sixth through Seventy-first Congresses, or 1920-31. Though re-elected without opposition in 1932, in 1934 he lost to the Democratic nominee. He was an unsuccessful candidate for nomination in 1936. McFadden’s main official legacy was the working on and the passing of the McFadden Act of 1927 limiting federal branch banks to the city in which the main branch operates. The Act sought to give national banks competitive equality with state-chartered banks by letting national banks branch to the extent permitted by state law. The McFadden Act specifically prohibited interstate branching by allowing national banks to branch only within the state in which it is situated. Although the Riegel-Neal Interstate Banking and Branching Efficiency Act of 1994 repealed this provision of the McFadden Act, it specified that state law continues to control intrastate branching, or branching within a state’s borders, for both state and national banks. McFadden is also remembered as a “vociferous foe of the Federal Reserve,” which he claimed was created and operated by European banking interests who conspired to economically control the United States. On June 10, 1932, McFadden made a 25-minute speech before the House of Representatives, in which he accused the Federal Reserve of deliberately causing the Great Depression. McFadden also claimed that Wall Street bankers funded the Bolshevik Revolution through the Federal Reserve banks and the European central banks with which it cooperated. McFadden moved to impeach President Herbert Hoover in 1932, and also introduced a resolution bringing conspiracy charges against the Board of Governors of the Federal Reserve. The impeachment resolution was defeated by a vote of 361 to 8; it was seen as a big vote of confidence to President Hoover from the House. According to Time magazine McFadden was “denounced and condemned by all Republicans for his ‘contemptible gesture’. The Central Press Association reported that he was “virtually read out of his party…[had] his committee posts…taken away from him…was ostracized by Republicans [and] called crazy…”. Sen. David A. Reed (R-PA) said “We intend to act to all practical purposes as though McFadden had died”. (Sidebar): A stellar lesson for an individual who would seek ethics and honesty. (Editorial): Corruption has always owned the biggest gun, albeit as history has proven time and again (right) ..in the proper venue will conquer (might) ..every time. In 1934 he made several Anti-Semitic comments from the floor of the house and in newsletters to his constituents wherein he cited the Protocols of the Elders of Zion, claimed the Roosevelt administration was controlled by Jews and objected to Henry Morgenthau Jr., a Jew, becoming Secretary of the Treasury. Drew Pearson claimed in his Washington Merry-Go-Round column that McFaddon had, in an publication by the Silver Shirts, made various comments “in support of Adolf Hitler”. In September the Nazi tabloid Der Stuermer praised McFadden. He was also lauded by the publications of William Dudley Pelley, leader of the fascist Silver Shirts, on several occasions. On election day that year he lost to Charles E. Dietrich by “about 2,000 votes”. This was the only election between 1912 and 1950 when the district elected a Democrat. 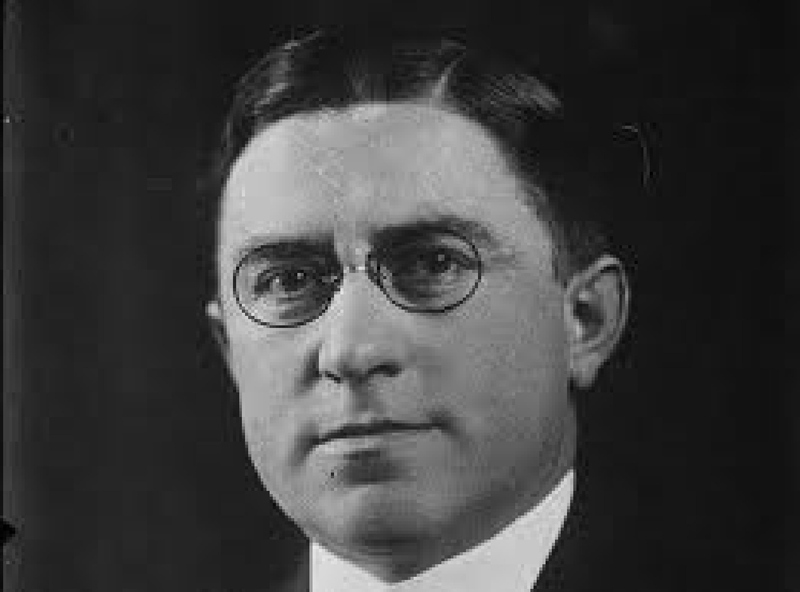 Not garnering much support for his presidential bid he tried to win back his congressional seat but lost the nomination by a wide-margin to Col. Albert G. Rutherford who went on to win the general election. (Source Wikipedia). 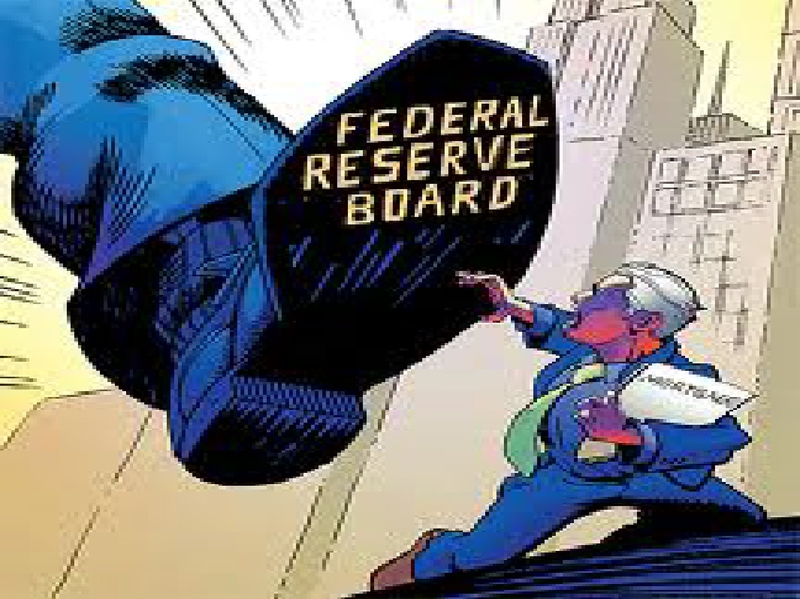 No man and no body of men is more entrenched in power than the arrogant credit monopoly which operates the Federal Reserve Board and the Federal Reserve banks. These evil-doers have robbed this country of more than enough money to pay the national debt. 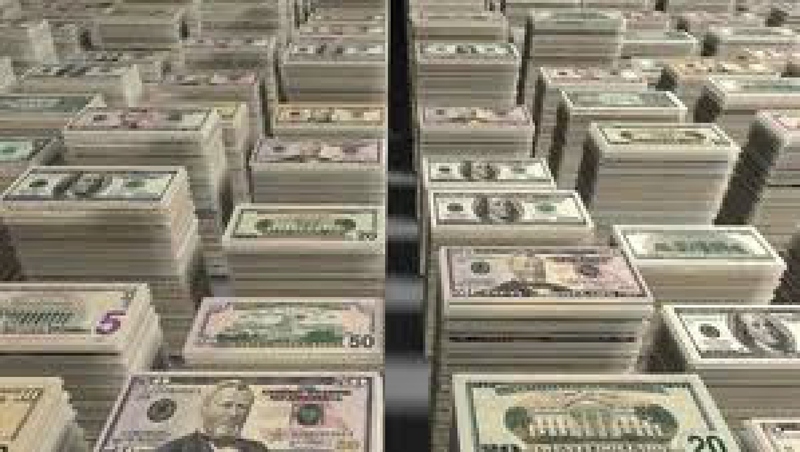 “Our people’s money to the extent of $1,200,000,000 has within the last few months been shipped abroad to redeem Federal Reserve Notes and to pay other gambling debts of the traitorous Federal Reserve Board and the Federal Reserve banks. 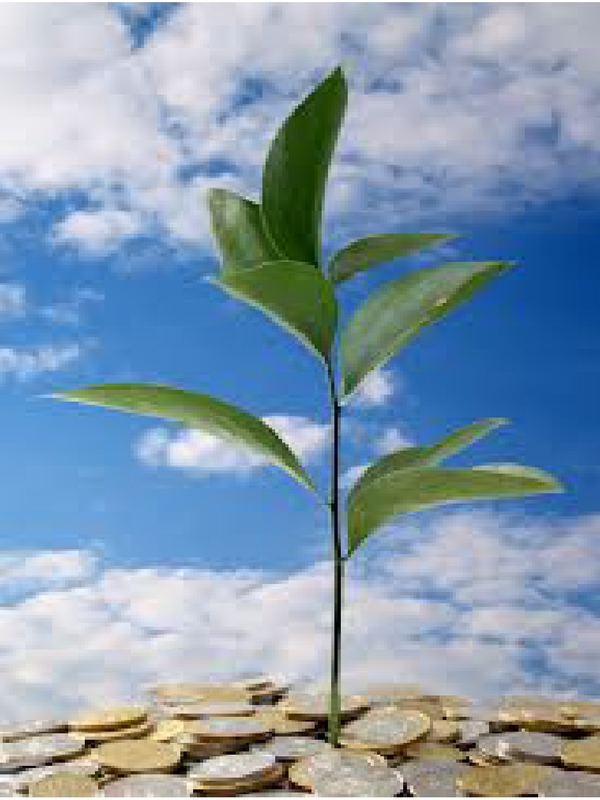 The greater part of our monetary stock has been shipped to foreigners. Why should we promise to pay the debts of foreigners to foreigners? Why should American Farmers and wage earners add millions of foreigners to the number of their dependents? Rep. McFadden asked. “The Federal Reserve Act should be repealed and the Federal Reserve banks, having violated their charters, should be liquidated immediately. If the media is unbiased, independent and completely thorough, why haven’t they discussed the FED? Currently, half the states have at least a grass roots movement in action to abolish the FED, but there’s no press coverage. In July, 1968, the House Banking Subcommittee reported that Rockefeller, through Chase Manhattan Bank, controlled 5.9% of the stock in CBS. Furthermore, the bank had gained interlocking directorates with ABC. In 1974, Congress issued a report stating that the Chase Manhattan Bank’s stake in CBS rose to 14.1% and NBC to 4.5% (through RCA, the parent company of NBC). The same report said that the Chase Manhattan Bank held stock in 28 broadcasting firms. After this report, the Chase Manhattan Bank obtained 6.7% of ABC, and today the percentage could be much greater. 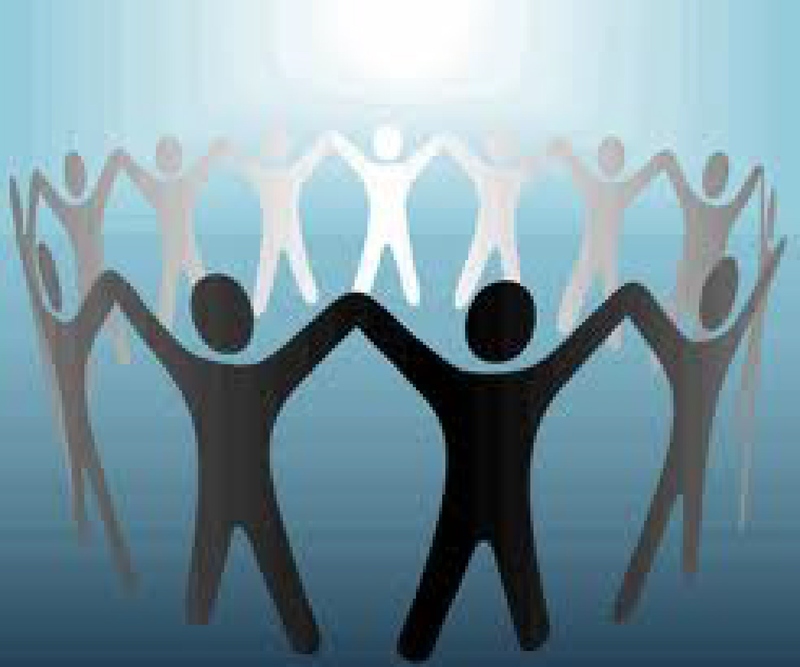 It only requires 5% ownership to significantly influence the media (Reference 14, P. 56-57). This is only one of 300 wealthy shareholders of the FED. It is believed other FED owners have similar holdings in the media. To control the media, FED bankers call in their loans if the media disagrees with them (Reference 25, P. 134-137). Rockefeller also controls the Council on Foreign Relations (CFR), the sole purpose of which is to aid in stimulating greater interest in foreign affairs and in a one world government. Nearly every major newscaster belongs to the Council on Foreign Relations. The Council on Foreign Relations controls many major newspapers and magazines. Additionally, major corporations owned by FED shareholders are the source of huge advertising revenues which surely would influence the media (Reference 14, P. 56-59). It can be no wonder why groups such as FED-UP(tm). receive minimal, if any, press attention. How do taxpayers stop financing those whose purpose it is to destroy us? First, expose their activity, then demand change. THE SOLUTION: Currently all we do is exchange FED money (interest attached) for real U.S. money (interest-free) dollar for dollar as Kennedy tried to do. We should not be required to pay interest on our own currency. According to Benjamin Franklin, this was one of the primary reasons we fought the Revolutionary War. Today we are still fighting the same family of bankers (Reference 4, Reference 1, P. 5.) 211, 212). The U.S. Government can buy back the FED at any time for $450 million (per Congressional record). 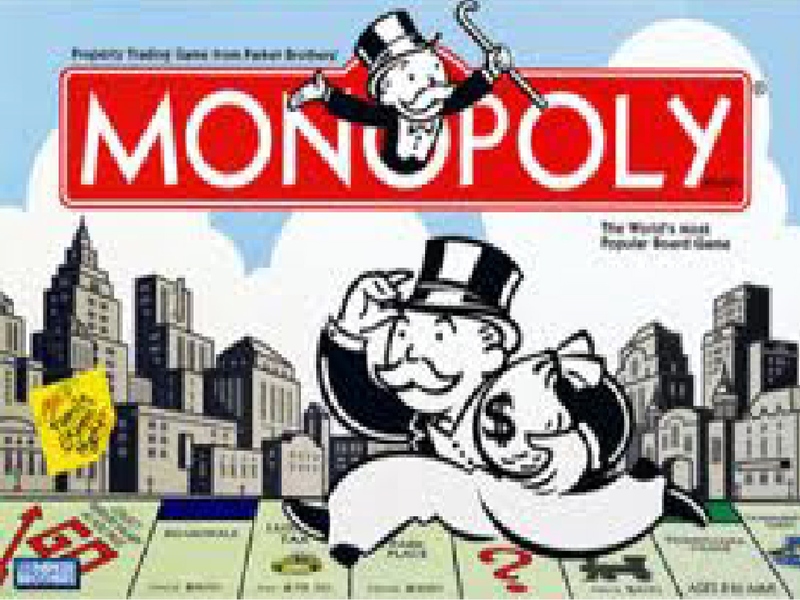 The U.S. Treasury could then collect all the profit on our money instead of the 300 original shareholders of the FED. The $4 trillion of U.S. debt could be exchanged dollar for dollar with U.S. non- interest bearing currency when the debt becomes due. There would be no inflation because there would be no additional currency in circulation. Personal income tax could be cut if we bought back the FED and therefore, the economy would expand. According to the Constitution, Congress is to control the creation of money, keeping the amount of inflation or deflation in check. If Congress isn’t doing their job, they should be voted out of office. If the government has a deficit, we could handle it as Lincoln and Kennedy did. Print money and circulate it into the economy, but this time interest-free. AMERICA DECEIVED By law (check the Congressional record), we can buy back the FED for the original investment of the FED’s 300 shareholders, which is $450 million dollars. (Reference 1, P. 227, Reference 17, P. 36). If each taxpayer paid $25, we could buy back the FED and all the profit would flow into the U.S. Treasury. In other words, by Congress allowing the constitutionally illegal FED to continue, much of your taxes go to the shareholders of the FED and their bankers. The FED buys U.S. debt with money they printed from nothing, then charges the U.S. taxpayers interest. The government had to create income tax to pay the interest expense to the FED’s shareholders, but the income tax was never legally passed (Reference 20 shows details, state-by-state why it was not legally passed). 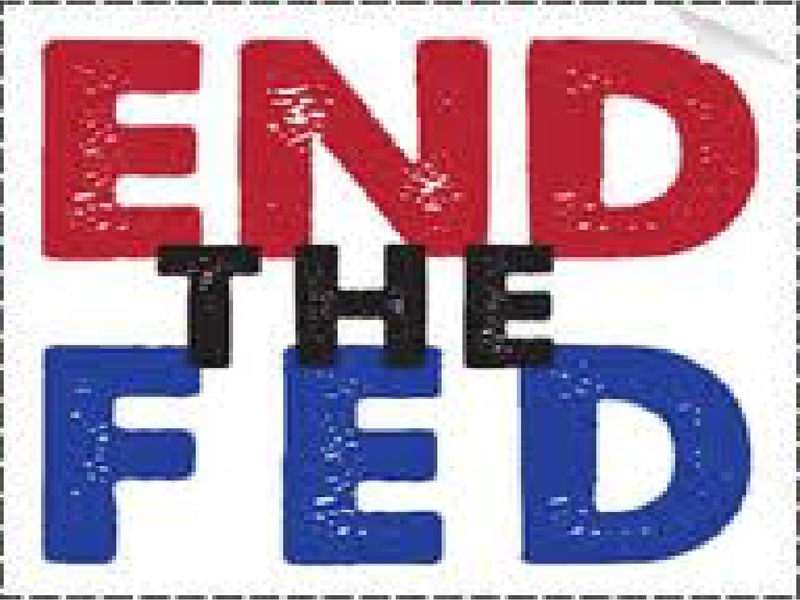 The FED is illegal, per Article 1, Section 8 of the United States Constitution. Not one state legally ratified the 16th Amendment making income tax legal. Currently, fewer and fewer Americans are being convicted for refusal to pay income taxes. In IRS jury trials, the jury, by law, must decide if the law is just. If taxpayers do not believe the law is just, the jury may declare the accused innocent. Judges are legally bound to inform juries of their right to determine the fairness of a law. Judges often do not disclose this information so they can control the court outcome. Luckily, more and more citizens are becoming informed. If one juror feels the law is unfair, they can find the defendant innocent (Reference 19). In Utah, the IRS quit prosecuting taxpayers because jurors verdict is not guilty. Please tell your friends and sit in the next jury. If we eliminate the FED and uphold the Constitution, we could balance the budget and cut personal income tax to almost nothing. In Congressional hearings on September 30, 1941, FED Chairman Eccles admitted that the FED creates new money from thin air (printing press), and loans it back to us at interest (Reference 17, P. 93). On June 6, 1960, FED President Mr. Allen admitted essentially the same thing (Reference 22, P. 164). If you or I did this we would go to jail. It is time to abolish the FED! Question: Who owns America’s Federal Reserve Banks? Ben Shalom Bernanke, born December 13, 1953) is an American economist and currently chairman of the Federal Reserve, the central bank of the United States. During his tenure as chairman, Bernanke has overseen the Federal Reserve’s response to the late-2000s financial crisis. 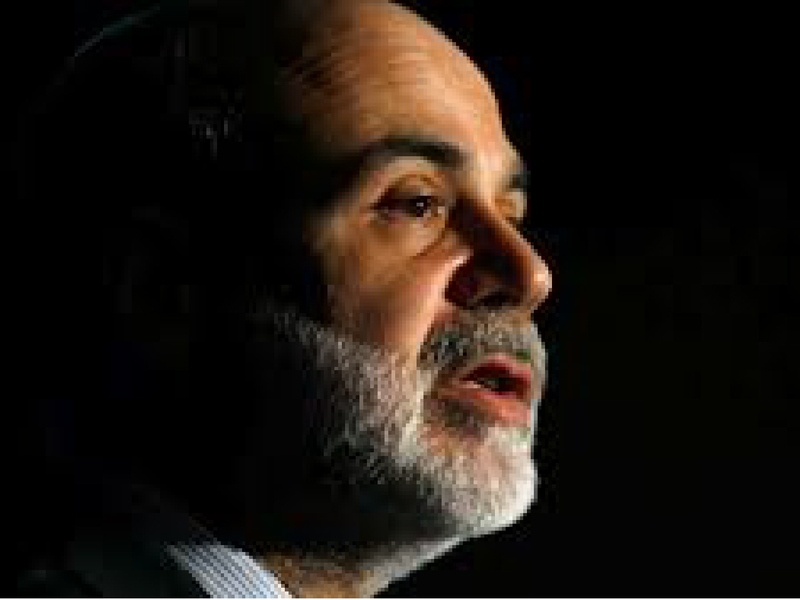 From 2002 until 2005, he was a member of the Board of Governors of the Federal Reserve System, proposed the Bernanke Doctrine, and first discussed “the Great Moderation,” ..the theory that traditional business cycles have declined in volatility in recent decades through structural changes that have occurred in the international economy. Particularly increases in the economic stability of developing nations, diminishing the influence of macroeconomic (monetary and fiscal) policy. Bernanke then served as chairman of President George W. Bush’s Council of Economic Advisers before President Bush appointed him on February 1, 2006, to be chairman of the United States Federal Reserve. Bernanke was confirmed for a second term as chairman on January 28, 2010, after being re-nominated by President Barack Obama. (Source, Wikipedia). 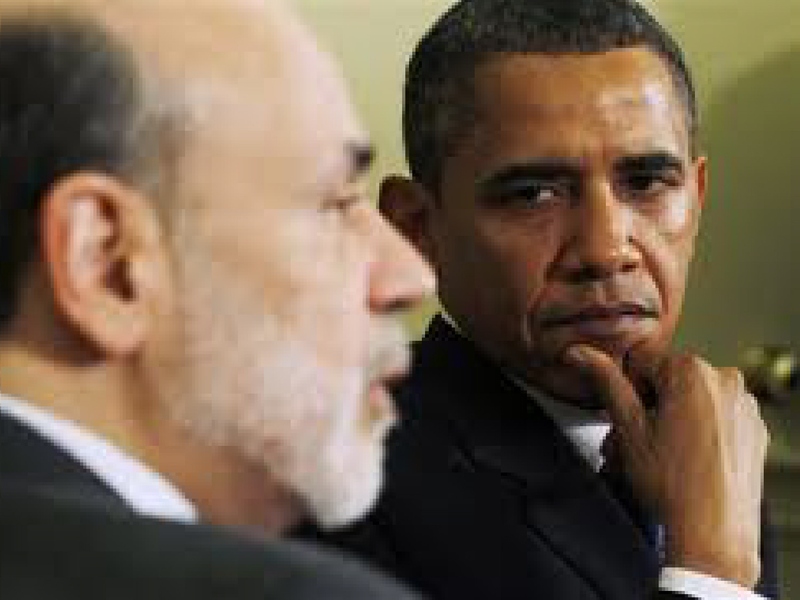 Accordingly, “Ben Bernanke” is currently the man along with co-hart :Barack Obama” ..that is (compliant) in responsibility for America’s decline, ..and/or, ..present economic crisis. 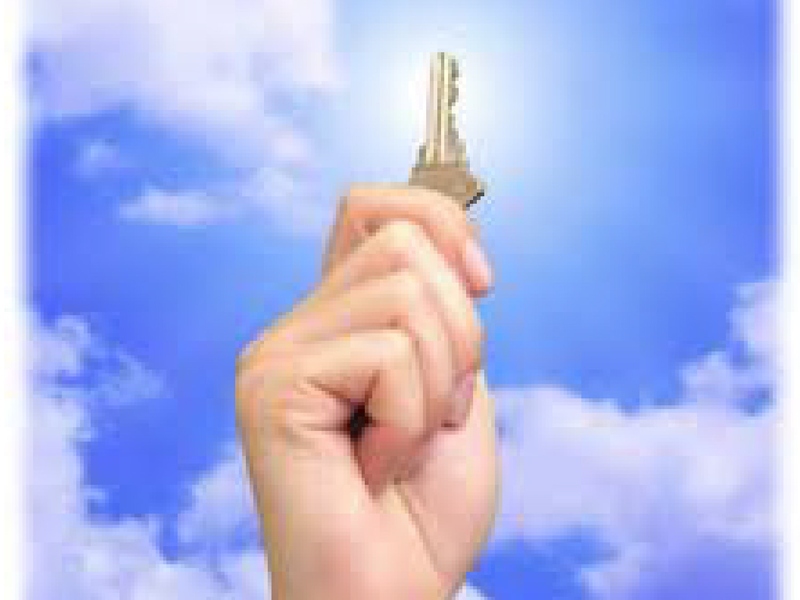 Nevertheless, ..nothing that I’ve offered so far, answers my opening question? by Thomas D. Schauf (Source, volusia912.org). (Sidebar): About Thomas D. Schauf; “Thomas Schauf has a diverse background. He has written two books revealing the banking secret from the viewpoint of a CPA court expert witness. He graduated from Northern Illinois University with a Bachelor of Science with double majors in accounting and finance. Over a period of nearly ten years, he has testified in a number of cases as an expert Witness in business valuation, and has taught the arts of business valuation, business acquisition and negotiations to buyers, CPA’s and lawyers on a national level in colleges and major universities. THE FEDERAL RESERVE BANK IS A PRIVATE COMPANY. Article 1, Section 8 of the Constitution states that Congress shall have the power to coin (create) money and regulate the value thereof. 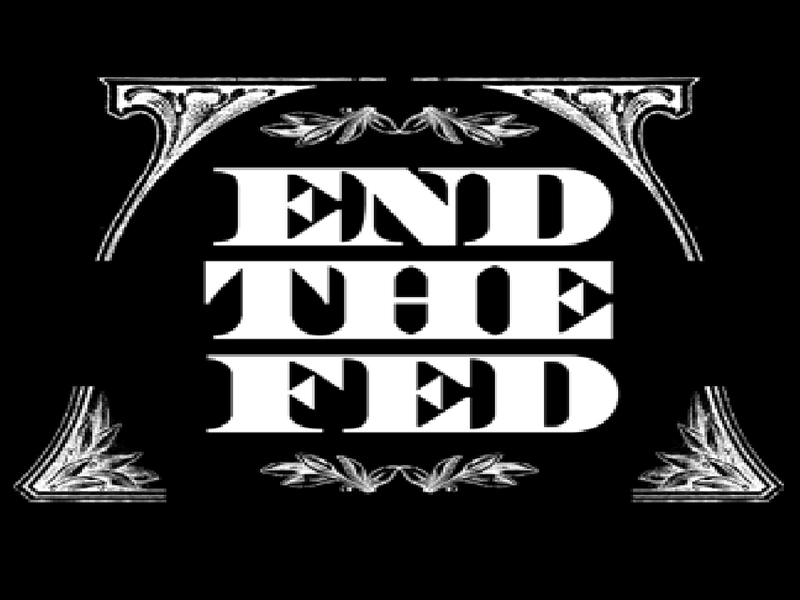 Today however, the FED, which is a privately owned company, controls and profits by printing money through the Treasury, and regulating its value. The FED began with approximately 300 people or banks that became owners (stockholders purchasing stock at $100 per share. The stock is not publicly traded) in the Federal Reserve Banking System. They make up an international banking cartel of wealth beyond comparison (Reference 1, 14). The FED banking system collects billions of dollars (Reference 8, 17) in interest annually and distributes the profits to its shareholders. The Congress illegally gave the FED the right to print money (through the Treasury) at no interest to the FED. The FED creates money from nothing, and loans it back to us through banks, and charges interest on our currency. The FED also buys Government debt with money printed on a printing press and charges U.S. taxpayers interest. Many Congressmen and Presidents say this is fraud (Reference 1,2,3,5,17). Who actually owns the Federal Reserve Central Banks? The individuals listed below owned banks which in turn owned shares in the FED. The banks listed below have significant control over the New York FED District, which controls the other 11 FED Districts. These banks also are partly foreign owned and control the New York FED District Bank. (Reference 22). First National Bank of New York James Stillman National City Bank, New York Mary W. Harnman National Bank of Commerce, New York A.D. Jiullard Hanover National Bank, New York Jacob Schiff Chase National Bank, New York Thomas F. Ryan Paul Warburg William Rockefeller Levi P. Morton M.T. Pyne George F. Baker Percy Pyne Mrs. G.F. St. George J.W. Sterling Katherine St. George H.P. Davidson J.P. Morgan (Equitable Life/Mutual Life) Edith Brevour T. Baker (Reference 4 for above, Reference 22 has details, P. 92, 93, 96, 179). How did it happen? After previous attempts to push the Federal Reserve Act through Congress, a group of bankers funded and staffed Woodrow Wilson’s campaign for President. He had committed to sign this act. In 1913, a Senator, Nelson Aldrich, maternal grandfather to the Rockefellers, pushed the Federal Reserve Act through Congress just before Christmas when much of Congress was on vacation (Reference 3, 4, 5). When elected, Wilson passed the FED. Later, Wilson remorsefully replied (referring to the FED), “I have unwittingly ruined my country” (Reference 17, P. 31). The bankers employ members of the Congress on weekends (nickname T&T club -out Thursday… -in Tuesday) with lucrative salaries (Reference 1, P. 209). Additionally, the FED started buying up the media in the 1930’s and now owns or significantly influences most of it Reference 3, 10, 11, P. 145). Presidents Lincoln, Jackson, and Kennedy tried to stop this family of bankers by printing U.S. dollars without charging the taxpayers interest (Reference 4). Today, if the government runs a deficit, the FED prints dollars through the U.S. Treasury, buys the debt, and the dollars are circulated into the economy. In 1992, taxpayers paid the FED banking system $286 billion in interest on debt the FED purchased by printing money virtually cost free (Reference 12, P. 265). Forty percent of our personal federal income taxes goes to pay this interest. 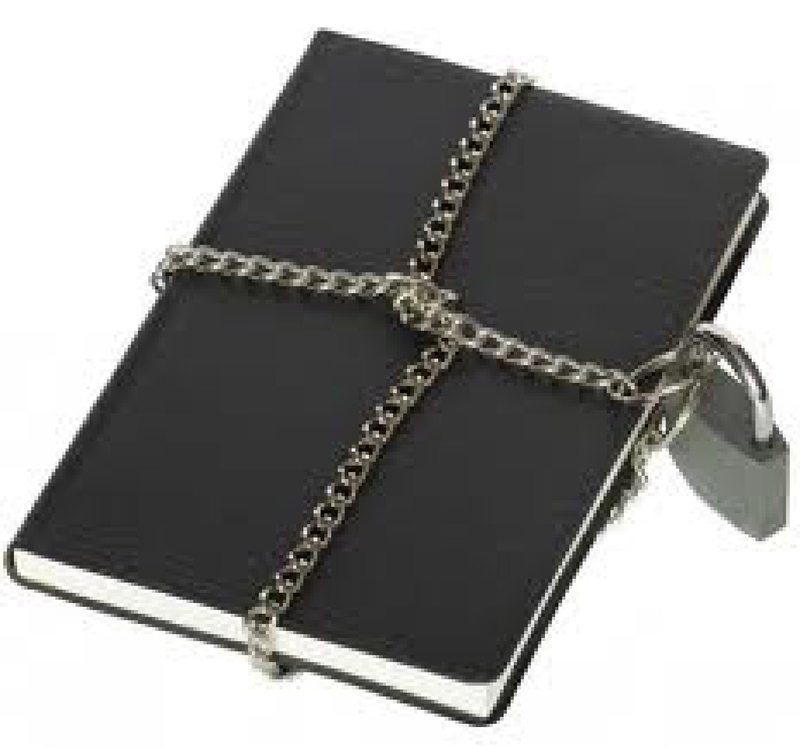 The FED’s books are not open to the public. Federal Reserve System, ..part 1. Factoid: A dollar in 2012, ..is worth “95% less” than in 1914. Over time, the roles and responsibilities of the Federal Reserve System have expanded and its structure has evolved. Events such as the Great Depression were major factors leading to changes in the system. The Congress established three key objectives for monetary policy—maximum employment, stable prices, and moderate long-term interest rates—in the Federal Reserve Act. The first two objectives are sometimes referred to as the Federal Reserve’s dual mandate. Its duties have expanded over the years, and today, according to official Federal Reserve documentation, include conducting the nation’s monetary policy, supervising and regulating banking institutions, maintaining the stability of the financial system and providing financial services to depository institutions, the U.S. government, and foreign official institutions. The Fed also conducts research into the economy and releases numerous publications, such as the Beige Book. The Federal Reserve System’s structure is composed of the presidentially appointed Board of Governors (or Federal Reserve Board), the Federal Open Market Committee (FOMC), twelve regional Federal Reserve Banks located in major cities throughout the nation, numerous privately owned U.S. member banks and various advisory councils. The FOMC is the committee responsible for setting monetary policy and consists of all seven members of the Board of Governors and the twelve regional bank presidents, though only five bank presidents vote at any given time. The result is a structure that is considered unique among central banks. It is also unusual in that an entity outside of the central bank, namely the United States Department of the Treasury, creates the currency used. According to the Board of Governors, the Federal Reserve is independent within government in that “its monetary policy decisions do not have to be approved by the President or anyone else in the executive or legislative branches of government.” Its authority is derived from statutes enacted by the (U.S. Congress) and the System is subject to congressional oversight. The members of the Board of Governors, including its chairman and vice-chairman, are chosen by the President and confirmed by the Senate. The government also exercises some control over the Federal Reserve by appointing and setting the salaries of the system’s highest-level employees. Thus the Federal Reserve has both private and public aspects. In 2010, the Federal Reserve made a profit of $82 billion and transferred $79 billion to the U.S. Treasury. This was followed at the end of 2011 with a transfer of $77 billion in profits to the U.S. Treasury Department. (Sidebar) Correct me if I’m wrong? ..if the Federal Reserve is funded by American taxpayers dollars, ..in 2010, ..who got the $3 billion dollars, ..and/or, ..the difference between $79 billion dollars ..and $82 billion dollars? (Source, Wikipedia). ..or is that a question not to be asked? As apparently the subject of America’s Federal Reserve system is not a subject that the FBI and/or Secret Service appreciates being questioned on Facebook. As represented by the arrest and detention of a young man (an ex-Marine) by the name of Brandon Raub. 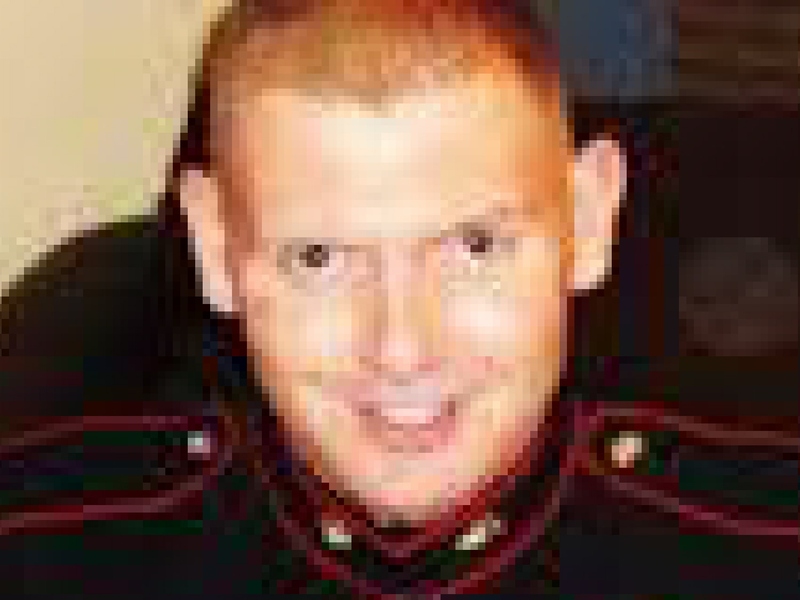 Headline: “Corporate media news reports state that former Marine Brandon Raub was arrested by the FBI and the Secret Service and detained in a psychiatric hospital for anti-government posts on Facebook.” (Source, infowars.com). Question: is America’s Federal Reserve system, America’s, or does it belong to someone else? According to Webster: fur·ther·more, In addition; moreover. See Synonyms at also. Click on the URL above and pay Attention. Although Sean Hannity is not usually on my viewing agenda during any 24 hour viewing cycle, I tuned him in Friday night, (August 24,) ..to listen to the “rank-and-file,” ..(middle-class) citizens (regular folks) ..that were selected from across the nation to participate in another film production to provide (at least in my opinion) some “extremely enlightening” narrative from both, ..(Democrats and Independents) disappointed in having cast their vote in 2008 for Barack Obama. I like Sean Hannity, ..nevertheless I don’t normally tune him in because it pains me to see someone’s voice shackled by the constraints of civility. Which, (at least for me) ..a bona fide, ..“common sense” conservative), ..brings to question: With (freedom of speech) established in the First Amendment to our Constitution, ..why do conservative commentators hold themselves to a higher standard than liberal commentators? ..and/or, ..why do conservatives in general (excluding myself) hold themselves to a higher standard? ..is eliminating this man in November. 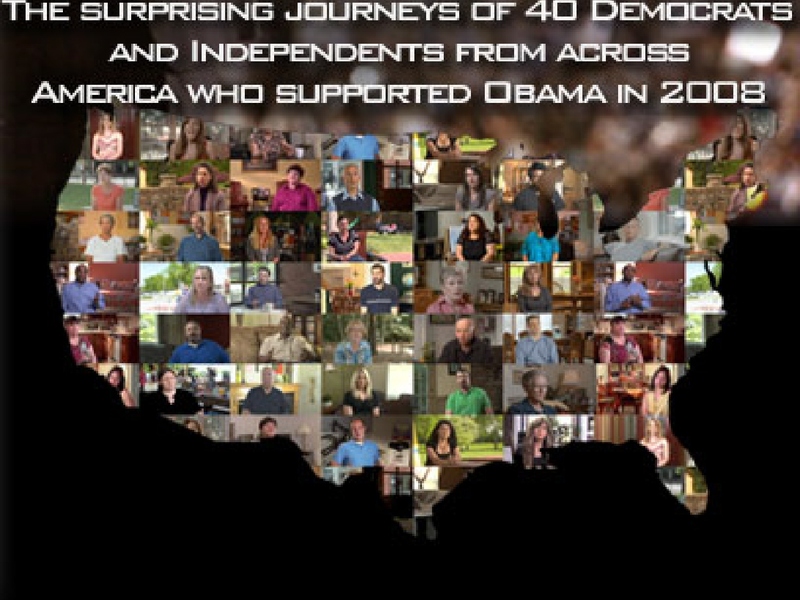 The anti-Obama documentary based on Dinesh D’Souza’s book “The Roots of Obama’s Rage” expanded nationwide on Friday — with early first-place showings in the domestic box office rankings. As of late Friday afternoon, “2016: Obama’s America” had grossed $700,000 from 1,090 theaters. That compared with $300,000 for the new big-budget, Sylvester Stallone action flick “The Expendables 2,” which is playing in 3,355 theaters. 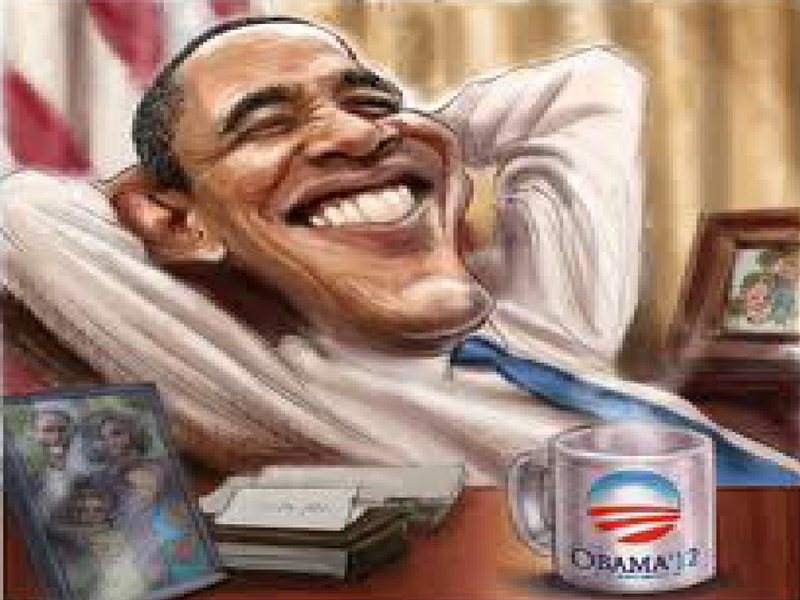 Exhibitors reported that filmgoers arrived by the busloads to see Obama’s America in pre-organized trips, (which tells me ) ..that America is finally waking up to the reality of Obama and his Marxist agenda and they don’t like it. 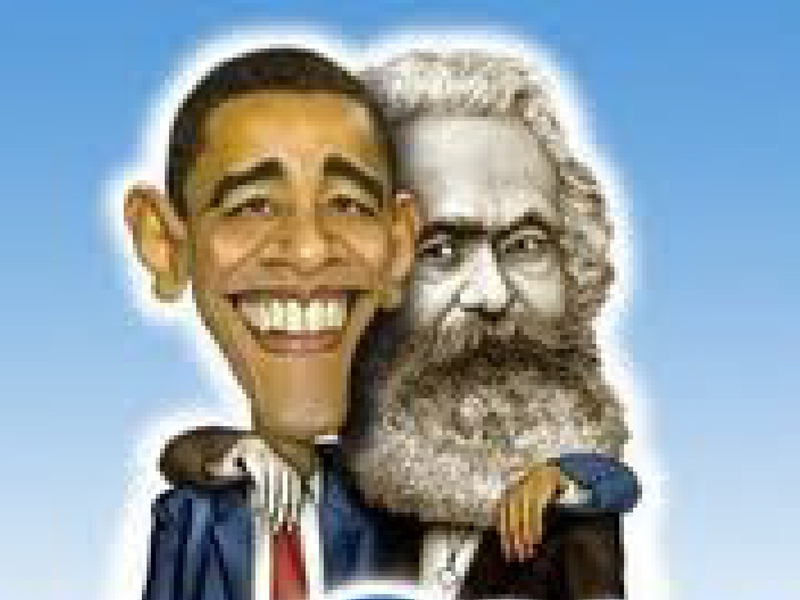 “From 2007 to the present, Americans, (we the people) have lost approximately 40 percent of our wealth. ..if there is a second Obama term?